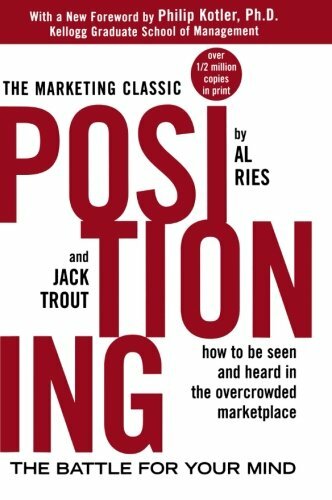 Positioning is the concept, the idea that separates you from your competitors. The marketing positioning statement articulates what you want your audiences to understand and why they should choose you. Positioning also reflects why you’re in business, your purpose and values. A clear marketing positioning statement is at the core of your marketing strategy—driving the look and feel, words and phrases of your visual and verbal brand system. 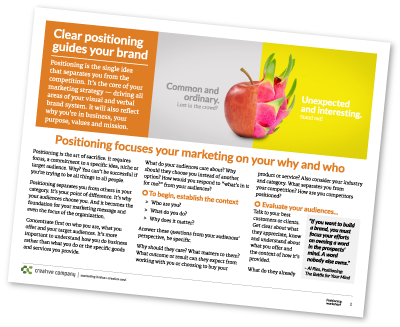 Positioning requires focus, a commitment to a specific idea, niche or target audience. Why? Your marketing and brand strategy won’t work if you’re trying to be all things to all people. A positioning statement is an expression of how a given product, service or brand fills a particular consumer need in a way that its competitors don’t. 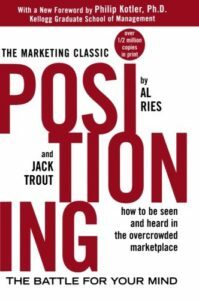 Positioning is the process of identifying an appropriate market niche for a product (or service or brand) and getting it established in that area. Define your marketing positioning statement first by summarizing who you are, what you offer and who your target audiences are. It’s more important to understand how you do business and not what you do or the specific goods and services you provide. And it’s essential you integrate the reasons why your audiences choose you over others. Positioning separates you from others in your category. It’s a point of difference. It’s a focus on why your audiences choose you. It becomes the foundation for your marketing message and even the focus of the organization. Your positioning is expressed in your visual and verbal brand, your identity system and messaging. The marketing positioning statement supports your brand promise at the top of a messaging hierarchy. BMW’s long-standing marketing message has been simply “the ultimate driving machine”, which is now 40 years old, (Trout, 2005). When a brand is well positioned, audiences understand and recognize what the brand stands for, where it fits and why it’s the best choice. The right audiences will respond. If you are a professional service company, for example, your marketing positioning statement will reflect your organization’s culture and why clients keep coming back to you. If you’re a manufacturer, you might position your product lines to solve a problem or fit a niche that is unfilled. And you might have a different positioning strategy for different product lines, depending on the audiences and the purpose of the product line. As you dig into choosing your positioning, identify categories to organize each idea and specific benefit. Keep in mind “they’re not buying a drill, they’re buying the hole it makes.” Thus listing features and functions is not as valuable as understanding the purpose and outcome of what you provide. The context is the why, the purpose, the “reason to be” and the benefits, not the content. Content is the details, the how-tos, the descriptions, ingredients and features. That last one … why does it matter? … is often the heart of your marketing positioning. If you haven’t seen it yet, look up Simon Sinek’s “Start with Why” on YouTube. Positioning begins by focusing on what you have to offer and why your audiences choose you. Not in general terms, in specifics. Details that prove your purpose and focus. It’s not “We’re passionate about helping people” or “Our service is exceptional.” Those are general, unfocused ideas with generic language spoken from your point of view. Who cares? Positioning can be guided by what you want to be known for. Take a stand for one thing, one central idea and claim it with a marketing positioning statement (see above about BMW). Strong positioning is integral to an organization’s purpose and the value offered. What matters to your audiences? What outcome or result can they expect from working with you or choosing to buy your product or service? Be specific, not general. 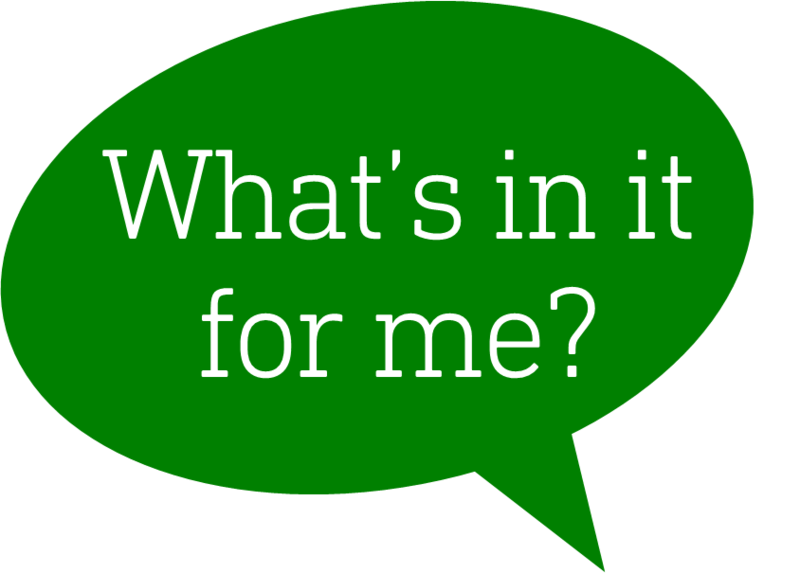 To choose your marketing positioning statement, talk to your best customers or clients. Get clear about what they appreciate, know and understand about what you offer and the context of how it’s provided. What do they already know and what do they need to know? 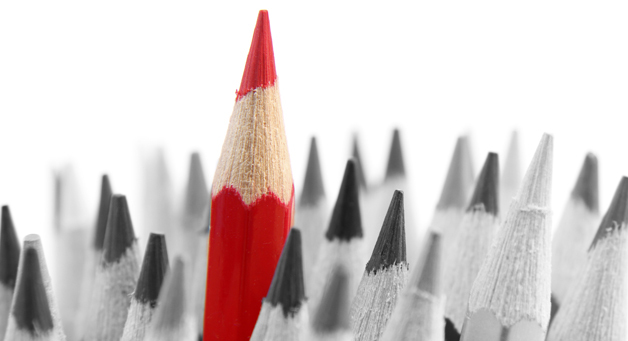 How do you want to be perceived by those audiences? What do they expect from you? Are there certain perceptions or misperceptions? Today’s audiences search differently and choose differently than in the past. And there are more choices than ever for their time, attention and money. Narrowing your focus on specifics will help you name a positioning strategy that helps your audiences choose you. Connect what you offer with what they’re looking for. They’ll be clear because you’ll be clear and focused. Then consider the words you use to express your positioning. Do they resonate, inspire, entice? There is so much more to the concept of positioning. Be sure and read the book by Al Ries and Jack Trout. It’s available on Amazon, of course. If you’re ready to define your own positioning strategy and marketing positioning statement, we can help. We’ll help you define your audiences and why they choose you, then “find your wow”. We’ll craft the right words to connect to your target audiences. Just drop me an email to schedule a time to talk. You can also start the process by downloading our worksheet below. What are your thoughts? How have you positioned your organization? Is it working?